Little is known about Lacroix de Marseille. He was in Italy by 1754 and probably only returned to Paris towards the end of the 1770s. While in Rome Lacroix met Claude-Joseph Vernet whose style was to become the inspiration behind his Italianate seascapes and nocturns. 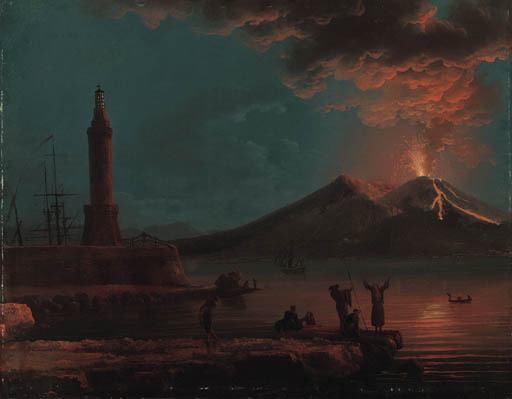 The present painting, with a date of 1756, is the artist's earliest known view of Vesuvius and puts Lacroix in Naples a year earlier that has previoulsy been documented (see P. Bédarida in the exhibition catalogue, All'ombra del Vesuvio, Naples, Catel Sant'Elmo, March 12-July 29, 1990, p. 391).